Don't you just hate it when your creamy makeup product dries up long before you finish with it? Well the other day I opened up one of my favourite creamy eye bases, in this case Macs paint pot in Constructivist and it was so dry that it looked like it had been basking in the sun! What sun? I hear you ask...exactly its 10 degrees and rainy! Anyway I had at least half of the product left in the pot and didn't really want to waste it so I did a little research and found a way to revive it ...woo hoo! Here is a little tutorial below and I hope it helps someone else. 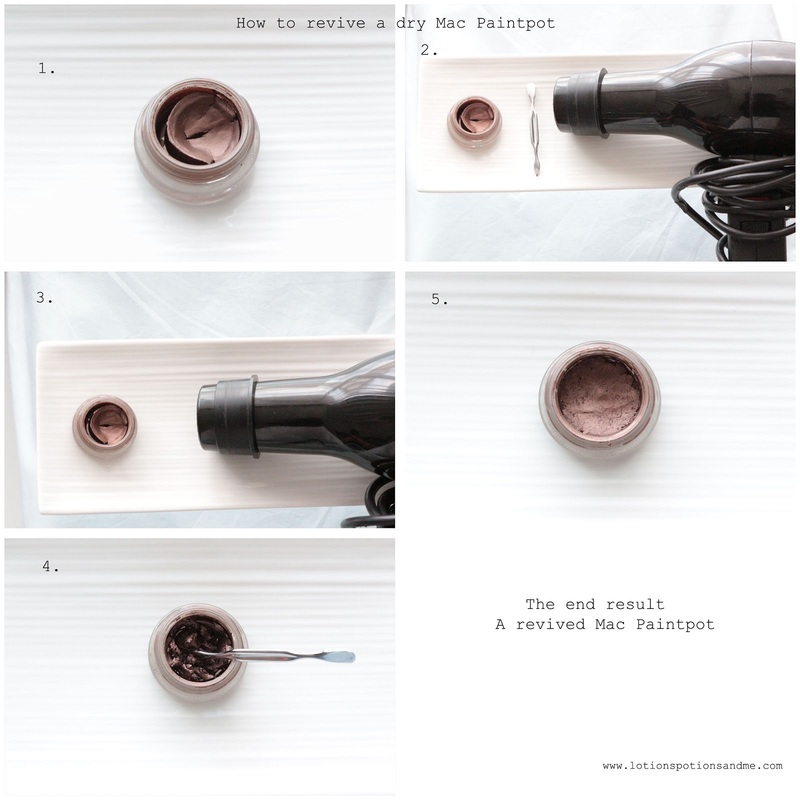 Step 3 - Heat up the paint pot using your blowdryer, the heat will help to soften up the product, release its natural oils and make it easier to mix up - I heated it for about 2 minutes.